Although most of the Roosevelt Island Cherry Blossoms have already bloomed, today's Roosevelt Island Cherry Blossom Festival was a wonderful time for all those who attended. Here are some scenes from the start of the festivities. Good job by RIOC Director/Child School Executive Director Sal Ferrera in stepping up and organizing the event this year. Roosevelt Island Operating Corp (RIOC) President Lesie Torres sends the following report to Roosevelt Island residents. Plans for the redevelopment of the Main Street retail corridor are moving forward. Last summer, RIOC signed a 30-year lease with Hudson Related Retail LLC to improve the vibrancy and lure new business for the 100,000 square feet of retail space on Main Street. Now, Hudson/Related is preparing to move into leases with retailers that will provide the Island with an expanded array of goods and services. Among the new tenants will be organic market Wholesome Direct, a Subway sandwich store and a wine store. 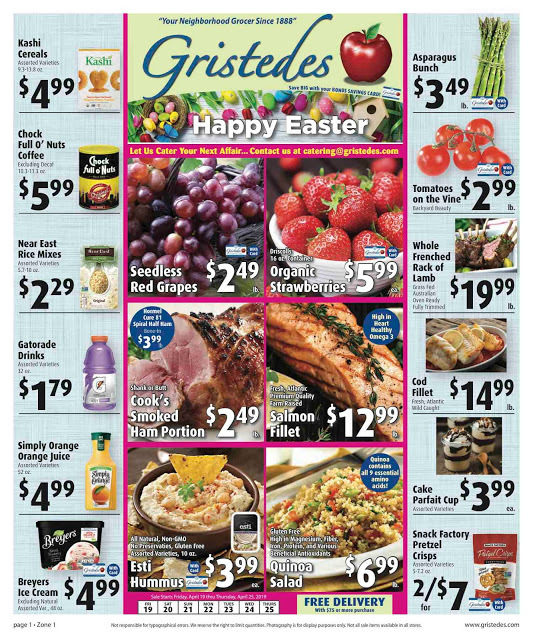 Additionally, the Gristedes grocery store will be remodeled. We partnered with Hudson/Related for this project because of their excellent track record, including the wonderful work they have done developing the buildings and commercial space in Southtown. Now, with their plans for a retail makeover on Main Street, the Island will have a beautiful retail corridor that offers quality services to the entire community. Earlier this week we announced our innovative partnership with SeeClickFix to allow Roosevelt Island residents to report non-emergency issues and request Island services through its online and mobile platform. Launched last year, the place-based reporting platform allows residents to document neighborhood concerns and improvements alike, ranging from potholes and graffiti to litter and broken streetlights. During the soft launch phase, which began in July 2011, 70 requests for service and other issues were reported to RIOC via SeeClickFix. We are leveraging this comprehensive platform to increase efficiency when responding to service requests and more efficiently improve the Island’s infrastructure. SeeClickFix helps us empower the citizens we serve and encourage them to actively engage with each other, their neighborhoods, and us. With the online and mobile reporting platform, residents can report quality-of-life concerns through service request categories via the RIOC website, custom mobile applications (iPhone, Android, Blackberry), and SeeClickFix.com. When submitting issues via mobile app, for example, residents can provide locational, descriptive, and photographic information as they see the issue in real time. Once the resident submits an issue, RI311, and anyone ‘watching’ the area will receive an alert. RI311 can then acknowledge the service request, route it to the proper department, and update the request—and residents following the issue—once it’s been resolved. The partnership allows residents to not only report community issues, but also view, comment on, and vote to fix problems submitted by their neighbors. Citizens can even create their own “watch areas” to receive notifications about all issues reported in their community, enabling them to follow the progress of all service requests – not just the ones they report. 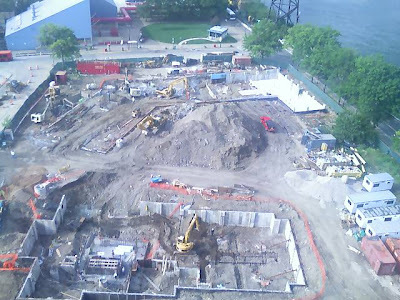 This week we started work on the Roosevelt Island and Manhattan Tram stations. Work to modernize, beautify, and make the stations more comfortable for riders will be an ongoing project: We are doing our best to minimize disruptions for riders. What can you expect when we're done? 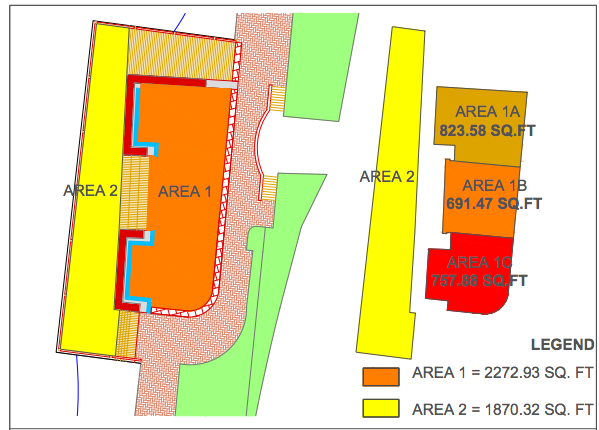 I think the biggest change you'll see is an enclosure of the platforms and turnstiles. 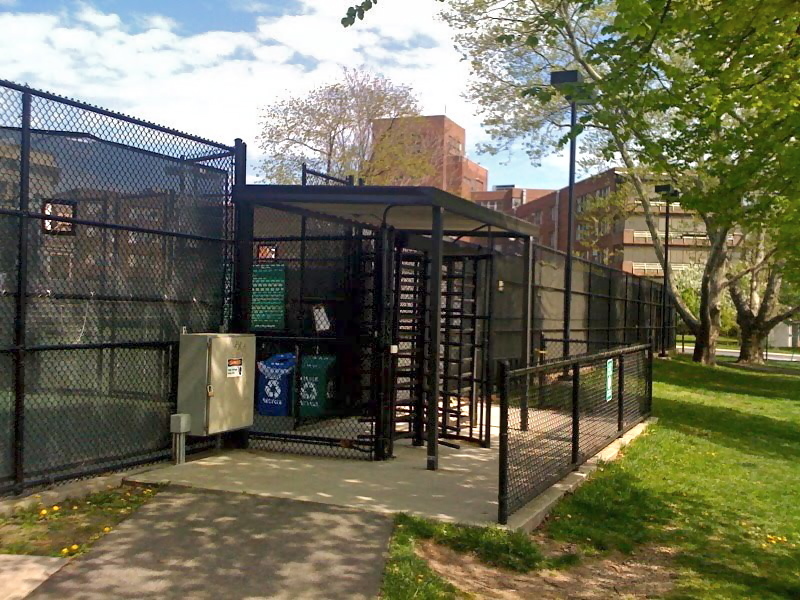 For all of us who have taken the subway on a windy, cold day, we know what a relief enclosures will bring. We'll also repair the stairs and repair, patch and paint the stations. In the meantime, please use caution when walking near construction and have a safe ride. 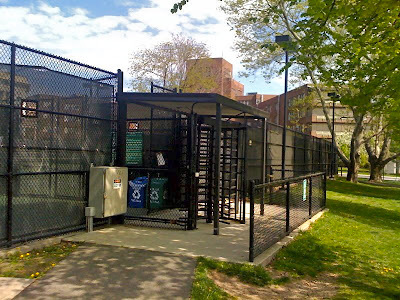 Con Ed Bringing High Pressure Gas Service To Roosevelt Island For Arrival Of Cornell NYC Tech School - How Will It Impact Roosevelt Island Residential and RIOC Buildings? 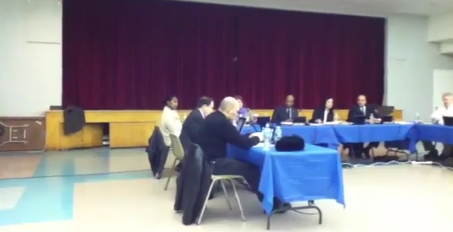 Here's the discussion on High Pressure Gas Service for Roosevelt Island. Mr. Suzuki, President of Nishimoto Trading Co.,Ltd. The festival will have something for both adults and children to enjoy. Attendance is free for performances. $5 admission to RIVAA gallery events. 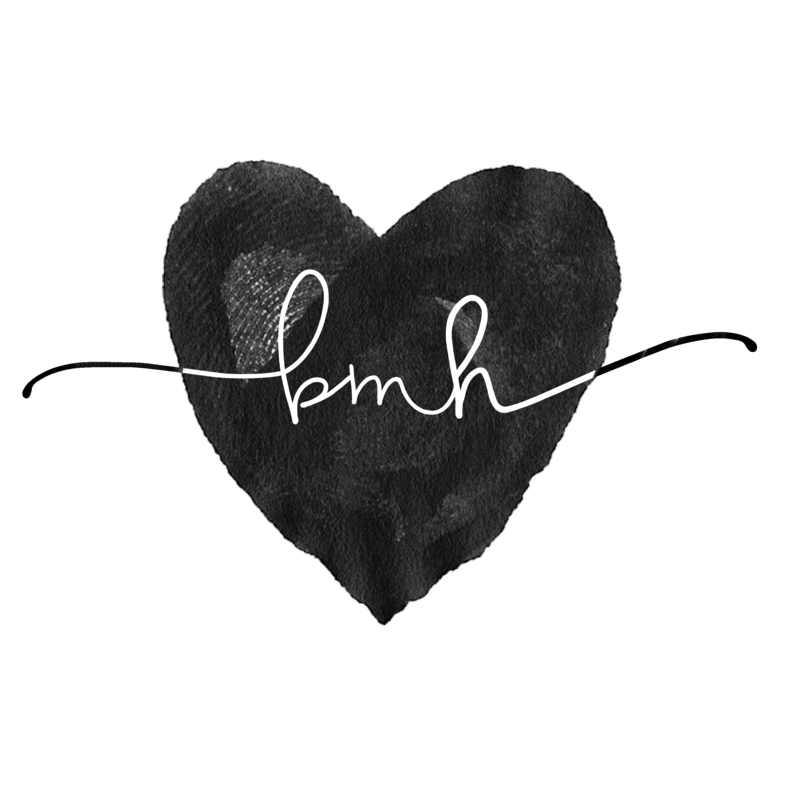 All proceeds will benefit Japanese relief efforts. We look forward to seeing our neighbors and their friends at what promises to be a fun educational and tasty event. 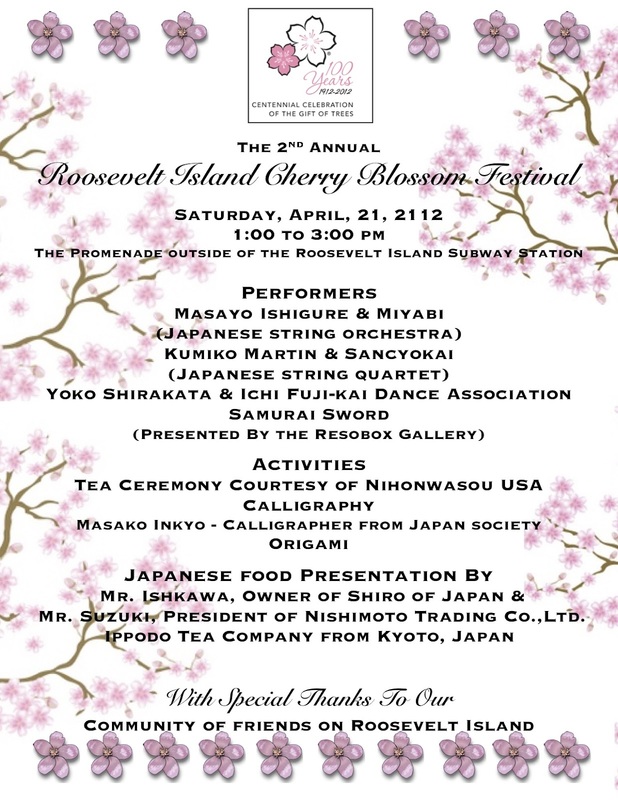 Please tweet, email, facebook and call the old fashioned way to invite your friends to come and join us and support our Japanese community and our neighbors on Roosevelt Island. Spring is in the air -- with all its glory -- on the Cherry Blossom Walk to be held on Roosevelt Island on Saturday, April 21, at 11:00 a.m.
Take a 75-minute tour of the beautiful cherry trees on Roosevelt Island and rejoice in the abundant color of the cherry trees in full bloom. The tour, led by Judith Berdy, President of the Roosevelt Island Historical Society, offers close-ups on the Island's flowering trees for photographers and flower-lovers alike. This is the second in a series of two walks offering botanical and historical observations about Roosevelt Island. The Magnolia Blossom Walk was held on March 25. 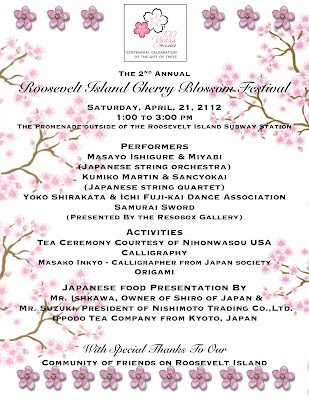 For reservations, please contact rooseveltislandhistory@usa.com or 212-688-4836. A donation of $10 to the RIHS is requested. Payment is accepted via PayPal at the RIHS website. DIRECTIONS: Take the Tram at 59th Street and Second Avenue. Meet at the Visitor Center Kiosk at the Tram Plaza. 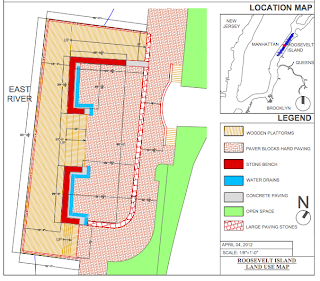 The Roosevelt Island Historical Society promotes awareness of our Island’s unique story and pursues preservation of its landmarks and artifacts. For more information, please visit www.rihs.us. Have a good time this weekend. We were saddened today to have to cut down a very old tree that stood behind Island House. Unfortunately the tree's roots were damaged and it had become a safety concern. After several inspections by Island House management and by experts that RIOC hired, we were informed that the tree would have to be cut down. While we share the community's sadness over the loss of the beloved tree, we are pleased to announce that we will be planting three young trees in its place. Below is the Agenda for today's Roosevelt Island Operating Corp (RIOC) Board of Directors Meeting. The Roosevelt Island Residents Association (RIRA) Public Purpose Funds recommendations are available at this previous post. ... New tenants include organic market Wholesome Direct, a Subway sandwich outlet and Island Spirit, which will be the only wine store on the island. The Child School is opening a 7,000-square-foot fine-arts center on an upper floor, which will include art, music, drama and dance studios. A Gristedes grocery store that has been on the island for more than 20 years is also being remodeled. 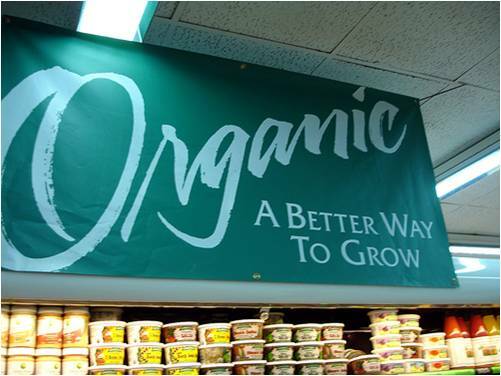 The grocery will be the guinea pig for a new concept for Gristedes, in which the store will also include boutiques, such as an organic market and a sugar-free market. 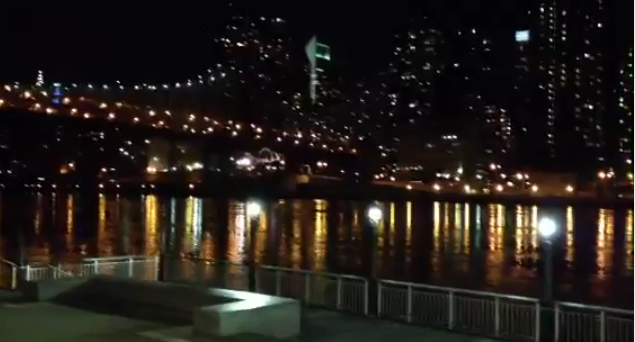 "This is going to be a new concept that we're experimenting with on Roosevelt Island," said John Catsimatidis, the owner of Gristedes. "We do reasonably well, but we could do better." Click here for entire Wall Street Journal article. Hudson Related Retail LLC, a joint venture between real estate development firms The Hudson Companies and Related Companies, today announced new retail leases, architectural and streetscape improvements, and lease renewals that will revitalize the Main Street retail corridor and bring new amenities to Roosevelt Island. Retail demand has outpaced supply in recent years as the Island has experienced population growth in newly constructed residential buildings and with anticipation of the new Cornell campus. · The Child School is opening a 7,000 square foot fine arts center at the upper floor of 504 Main St, which will be complementary space to the School’s other existing facilities on Roosevelt Island and will include art, music, drama and dance studios. 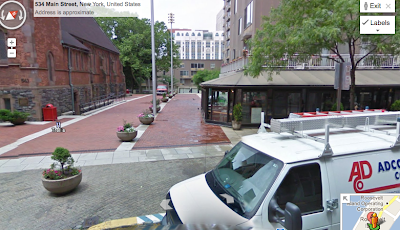 · Trellis Diner, a Roosevelt Island community institution, will have a ten year lease and is planning architectural and general improvements to the store. · Gallery RIVAA, at 527 Main St., will continue serving the community with arts events and gallery shows. · Hudson/Related and the New York Public Library have been pursuing capital funding necessary to create a new, state-of-the-art library branch on the ground floor of 504 Main Street. · The leasing team has been receiving offers for additional stores such as ice cream/candy; additional restaurants, florist and green desk office leasing. · Hudson/Related hopes to attract a pet store operator to the island as well as a frozen yogurt store. "For too long, Main Street has been a ghost town, forcing Roosevelt Islanders to travel far and wide for the simple amenities most New Yorkers take for granted. The innovative public private partnership between the Roosevelt Island Operating Corporation and Hudson/Related that resulted in the retail master lease is revitalizing Main Street, giving Roosevelt Islanders great new shopping opportunities right outside their front door," said Assembly Member Micah Kellner (D - Upper East Side, Yorkville and Roosevelt Island) who played a key role in shaping and implementing the new retail master lease. “Roosevelt Islanders have been clamoring for better shops and amenities for years. This makeover is a huge step forward and will help create a vibrant shopping corridor on Main Street,” commented Councilwoman Jessica Lappin. "We're excited about more shops and stores on Main Street. Island residents and visitors deserve a great shopping experience and the amenities that come with living in a thriving community. We signed a master lease with Hudson/Related because we were confident they had the expertise to develop a vibrant commercial corridor and we're thrilled that we'll soon see the first results of this partnership," said Leslie Torres, President of the Roosevelt Island Operating Corporation. Hudson Related has received commitments from Gristedes to commence architectural and in-store improvements to the Roosevelt Island store, which are expected to be completed by October, 2012. Hudson Related is planning design improvements to the storefronts along Main Street, which include new lighting, signage, way-finding elements, and materials to freshen the look of the Main Street corridor, which has not seen any major renovations or improvements in nearly 40 years. The transformation of Main Street continues the retail enhancements began by Hudson and Related several years ago with the creation of the Riverwalk community on Roosevelt Island which includes six residential buildings. Retail amenities at Riverwalk include the Duane Reade, Roosevelt Island Day Nursery at Riverwalk, the Riverwalk Bar and Grill and an adjacent bagel store and deli, Nonno’s Focacceria, Fuji East, Swan Nails, Prestige Cleaning and Valet and Starbucks. The retail renaissance is taking place within the context of other significant improvements to the Roosevelt Island neighborhood including the opening of the Louis Kahn-designed FDR Memorial in October, 2012 and the start of the $2 billion Cornell/Technion Campus for the Applied Sciences. “All of these factors will strongly reinforce the vitality of the new retail corridor. Studies have previously concluded that island residents spend $0.86 of every retail dollar off-island, and we are committed to changing that dynamic,” said Kimberly Sherman-Stamler, Vice President of Related Companies. UPDATE 11:20 AM - The new retail stores and improvements on Main Street would not have been accomplished without the persistence and hard work of former RIOC Director Jonathan Kalkin who first proposed the idea of a private sector Main Street Retail Master Leaseholder way back in 2007. Mr. Kalkin should be thanked for his role in helping to bring about these new stores. Click here for the entire NY Times 30 Minute Interview with Mr. Kramer. Is it true that Hudson Related will start construction on Riverwalk Building #7 in early 2013? Have you exercised your option with RIOC for the property? Mr. Kramer confirmed that yes it was true. I asked the Roosevelt Island Operating Corp (RIOC) for a comment and will update if and when it is received. Here's what the 2002 Southtown construction site looked like. Do You Like Local History? Paid Summer Student Internship Available With Roosevelt Island Historical Society - What Was Blackwell's Island? Received the following message from the Roosevelt Island Historical Society. Do you enjoy local history? Join us on our unique historical island and learn more than you ever imagined about our history from the 1600’s to the present day. Our archives contain many architectural histories, institutional records, personal stories and family histories of those who lived, worked, were hospitalized or imprisoned on the island. The reading will not be boring!!! The RIHS is seeking a summer intern for the months of July and August. Intern will assist with RIHS collection management and registration. The responsibilities will include assisting with recording, cataloguing, organizing, and inventorying the society records and permanent collection, performing preventative care of items in storage. Interns should be enrolled in an Historic Preservation, Art History, Museum Studies, landscape architecture and/or Local History Program. All level students will be considered. 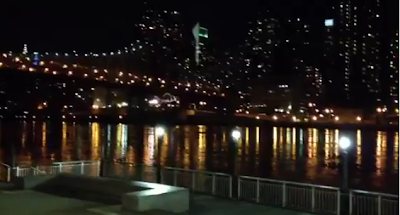 Work will be on Roosevelt Island. This is a paid position The island is easily accessible by aerial tramway or F subway train. More on Roosevelt Island History from these previous posts. 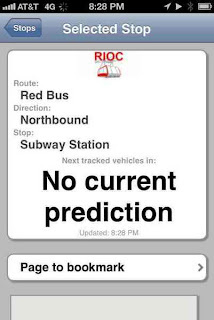 No current prediction - is nextbus broken? I have been unable to track the Red Bus for several days. 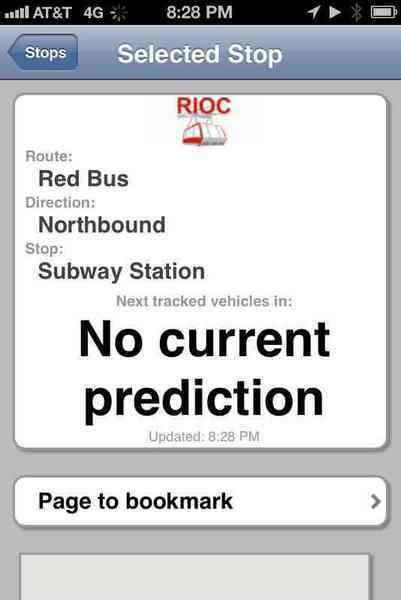 Please be advised that we are experiencing difficulties with third party "real time" applications for the Red Bus. Applications such as "RBT Red Bus Tracking Application" and "RI Bus Tracker Android Application" are currently not operational. We are diligently working with Next Bus and application developers to fix this issue as soon as possible. Here comes the Red Bus. More on the Next Bus Roosevelt Island Red Bus GPS system from previous post way back in 2009. 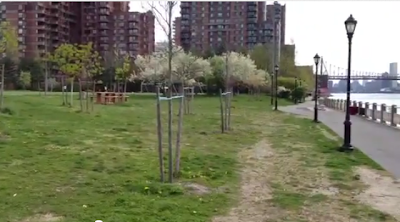 I understand Community Planning Board 8 will be holding it's April meeting on Roosevelt Island this Wednesday. As Roosevelt Island residents on the CPB do you wish to make any comment or statement that I can post on Roosevelt Islander Online. Also, I thought the Cornell project would be a subject of the meeting but I do not see it listed on the Agenda. Any idea why not? The meeting on Weds. is the monthly Full Board meeting where we will be attending to and voting on the various resolutions that the subcommittees have asked for adoption; as well as voting on our stance on the proposed New York Dream Act. This is not the Roosevelt Island task force meeting. The Roosevelt Island task force meeting re Cornell has been scheduled for early May. 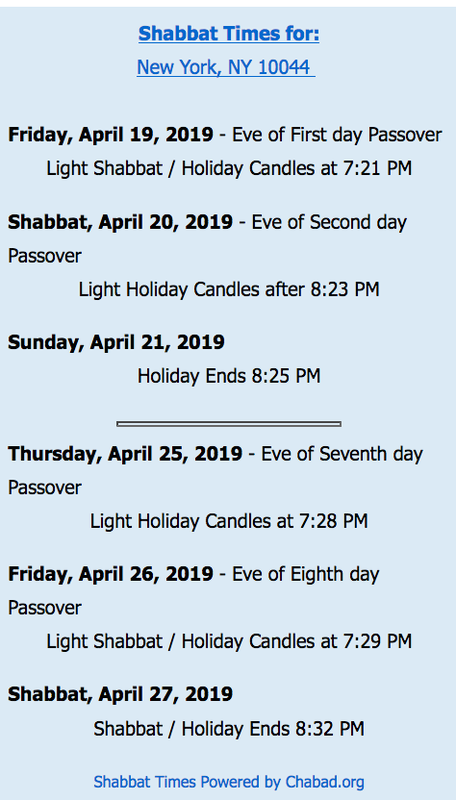 If you go to the website www.cb8m.org, you will be able to find both the schedules and agendas for these meetings. I would note that the Weds. meeting apparently been moved from the Chapel to The Child School/Legacy High School Auditorium at 6:30 pm. I would strongly encourage all of our fellow Roosevelt Island Citizens to come and attend the Full Board meeting tomorrow to understand what Community Board 8 does, what we vote on and the role the Boards have in City governance. To review the agenda and see what will be voted on, they are encouraged to go to www.cb8m.org. We will also be voting on a historic act that the Manhattan Borough President's office and local electeds are looking to sponsor, which is to enact the failed DREAM Act, but on a Statewide level (versus the struck down Federal level). If they wish to address the Board, voice concerns and/or to simply speak to the greater community, they are urged to do so and to ask to be recognized during the General Community time of the meeting. Mr. Escobar is also a member of the Roosevelt Island Residents Association (RIRA). Public Hearing: BSA Calendar No. 67-12-BZ, 1442 First Avenue, Block 1469, Lot 46, Second Avenue Deli- Application pursuant to Section 72-21, ZR for a zoning variance to permit the extension of an existing eating and drinking establishment in Use Group 6 on the first floor of the premises to the second floor in a building occupied on the third and fourth floors by residential uses and for the construction of a convenience stair between the first and second floors. More on the NY State Dream Act here. Tennis permit applications for the 2012 season will be available in late- March. PLEASE DO NOT FILL OUT A FIELD PERMIT APPLICATION. The permits will be available the second week of May. Tennis Permit Applications will be available online here. ... RIOC envisions a quality, affordable specialty concession service that gives patrons a place to stop and enjoy the scenery, while enjoying top quality food. RIOC will view favorably menus that are inventive and interesting, and that incorporate diverse and/or healthy food choices. Menu items may include, but are not limited to, gourmet food products, barbeque, premium coffees and teas, muffins, rolls, bagels, premium cookies, international and ethnic foods, soups, fruit, spring water, juices and gelato. Proposers should submit a menu with their proposals and should include some low-cost food items on their menus. Proposals should include a price list for each item to be sold. Here's a view from above the Subway Pier. Are you a student getting ready for the SAT'S or a parent wishing to help your child with this important test? 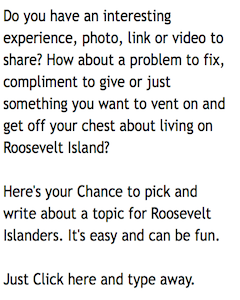 If so, this message from the Roosevelt Island Youth Program may be of interest. Reading/Writing Prep Classes will be taught by Matthew Katz. Math Prep Classes will be taught by Lydia Tang. 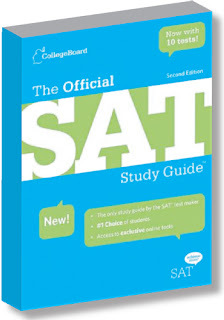 Classes will start this Thursday, April 19, 2012 and will continue through the end of May 2012, in time for the June SAT. Classes will be held at the Roosevelt Island Youth Center, 2nd Floor. For additional SAT math help, check out the online Khan Academy SAT Preparation Class. More on the Khan Academy from previous post. PLEASE TAKE NOTICE that a meeting of the Operations Advisory Committee of the RIOC Board of Directors will be held on Monday, April 16, 2012 at 5:30 p.m. at the RIOC administrative office, 591 Main Street, Roosevelt Island, New York. 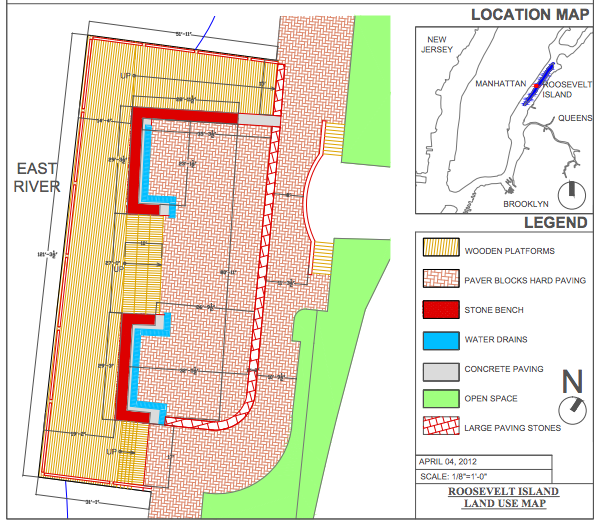 During the April Roosevelt Island Residents Association (RIRA) Meeting Public Session, RIOC Director Margie Smith asked if there was any interest in making the Southtown temporary parking lots into usable, green, recreational space at least until Southtown Buildings 7-9 begin construction. Potential ideas include picnic tables and chairs. exercise equipment, volleyball/badminton nets or any other passive or active recreational use instead of parking. 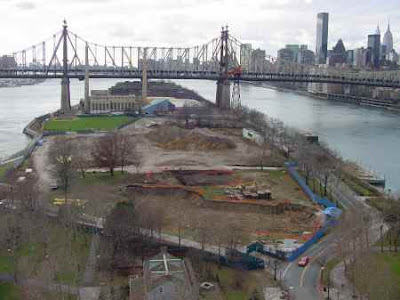 Another potential Roosevelt Island open space for active and passive recreational use being explored is the area between the Octagon Soccer Field and boat prow dock pictured below. Here's Ms. Smith discussing the idea for additional Roosevelt Island Open Space at the April RIRA meeting. Now the idea is on the RIOC Operations Committee Agenda for tomorrow. Sounds like a good idea to me and I hope it gets approved.